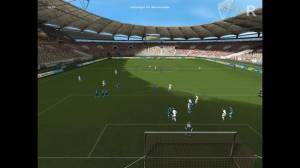 In this number-crunching soccer simulation game, you take on the role as the coach, manager and chairman of a club. You can choose between Germany, England, France, Italy, The Netherlands and Austria, with all official clubs and different divisions in the 2001/2002 season. 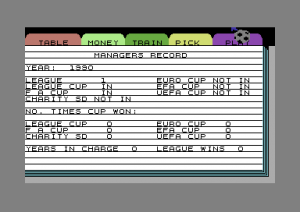 Through an included editor, you can tweak all statistics, including the individual variables of the clubs. Next to the national competitions, which include the first two leagues, a regional league, a domestic cup and a super cup, you can also compete on the European level in the Champion's Cup (Champion's League) and the UEFA Cup. The players' skills are defined by stars representing basic strength, fitness and morale, which can be improved, and special talents such as club loyalty and team spirit. Through a talent tree, players learn specific abilities at four levels during their career, such as calmness, dribbling or the skill to take a free kick, until they ultimately become a "Football God". As a dedicated manager, you need to take care of your players' performance through detailed statistics, and constantly re-evaluate formations, substitutions and tactics. At regular intervals, trainings need to be held, while managing your finances through loans, ticket prices, kits and equipment, television rights and advertising revenues. Contrary to similar games, Soccer Manager does not use a calendar system to plan events - all changes (transfers, building new stadiums, ...) take immediate effect. The matches themselves are shown live using a 3D view, but you cannot join the action yourself. Aside from regular gameplay, unexpected events occur during the matches.